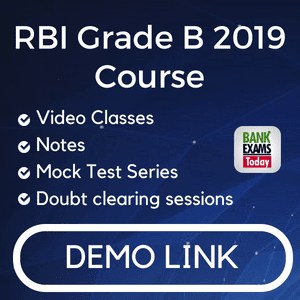 Input Output is an important chapter of Reasoning section. In such questions 5 steps are given and with the input . By observing the pattern in steps , we need to recognize the pattern and answer 5 questions based on that pattern. 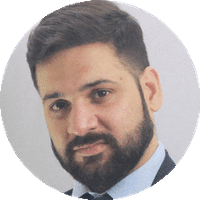 If you do it with your conventional way , you are most likely to waste your valuable time .Let us learn an easy way where you have to observe the last step very carefully. 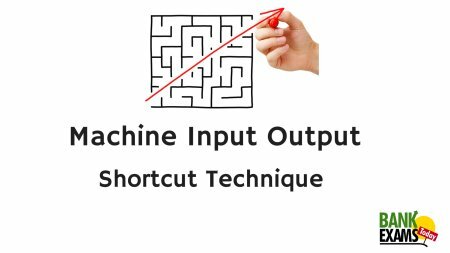 Before solving these questions, I recommend you to read Shortcut to solve Input Output questions. How many steps are required to complete the following arrangement? Particular step is given and you have to find out the last step or any other step. Which one will be the final arrangement? Which step will be last but one step? These things will really matter while solving such input and output questions. How many steps will be required to complete the following arrangement? 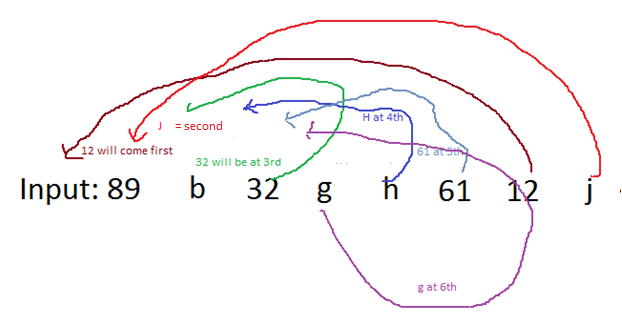 As you can see that after 6 the step, other two elements; 89 and b will automatically get arranged. So number of steps required for this arrangement is 6. Which of the following will be the 6th step? iv. There is no such step. This matches with the option 3 . So, option 3 is the correct answer. Which of the following will be the last but one step? So in total, there are 4 steps and the last but one step is 3rd. Which of the following will be the given input? Remember that for any step given , we cannot find the exact input. So , in such cases the answer will always be none of these. How many more steps will be required to complete the arrangement? Remember that we just have to find out HOW MANY MORE steps NOT all the steps. 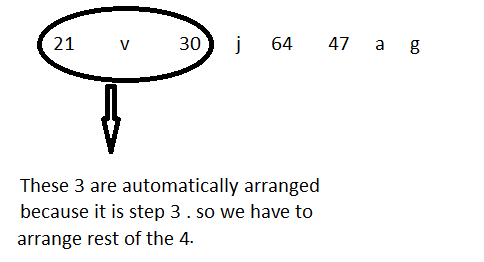 Since 30 is numeric value so after 30 alphabetic value will come and according to our rule value will be 'j' but it is already at the correct position . The next numeric value will be '47' and this will be the 4th step. 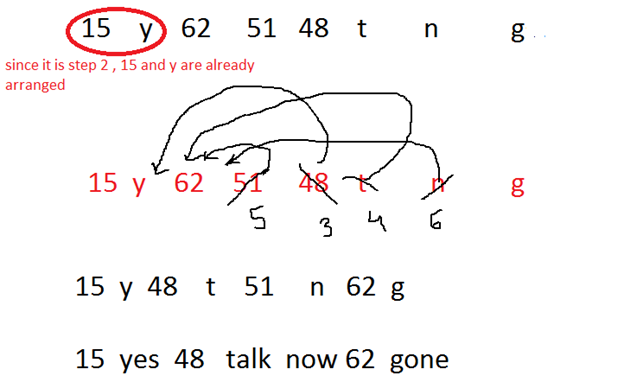 After ;'47', the next alphabetic value will be g and it will be step 5. Then 64 but it is already at the correct position and after this ‘a’ but it is already at the correct position. So we have just step 4 and step 5 to complete the arrangement. Hence our answer will be none of these because 2 is not among the options.